VL OMNI has never before participated in a conference quite like LS Retail’s ConneXion! 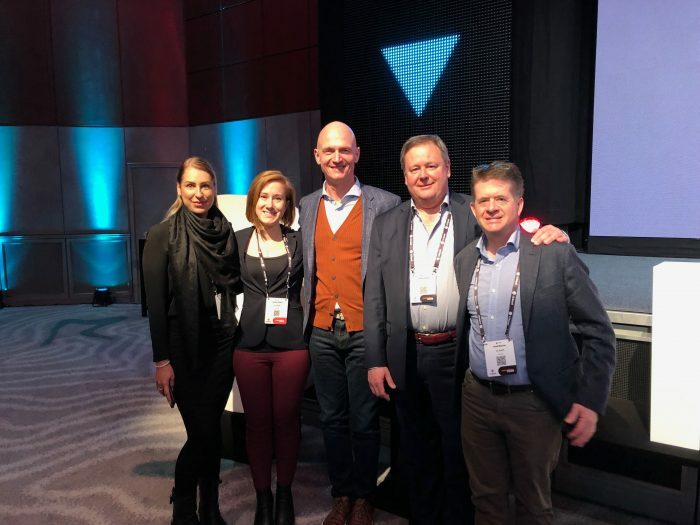 VL OMNI is back from our first ever LS Retail ConneXion Conference and Expo in Munich, Germany. LS Retail, a world-leading provider of unified software solutions for retail and hospitality, uses their yearly conference to both launch new features and to honestly and earnestly connect with their international user base and partners. Together, ConneXion is the event for the next big things to come to the high-functioning LS platform and beyond. ConneXion‘s yearly mandate is to bring together key experts, state-of-the-art software solutions, ideas and challenging thinking for retail and hospitality together under a single roof for a couple short but jam-packed days. With VL OMNI privileged to be included as a show sponsor and exhibitor for ConneXion 2019, the conference was even more than what we hoped it could be! Aa an eye-opening, informative meeting of the LS Retail community with full access to any and all in the LS family and ecosystem, VL shared best practices, discussed case studies, and demonstrated our VL OMNI LS Retail-Shopify Plus Connector, and all to huge success. Keep scrolling to see the full details of this amazing conference! After a few days of acclimating to picturesque Munich, Day One of ConneXion kicked off with a bang. Joined by Dubai-based Shopify Plus agency and VL OMNI partners Creative 971, together we hit the ground running. 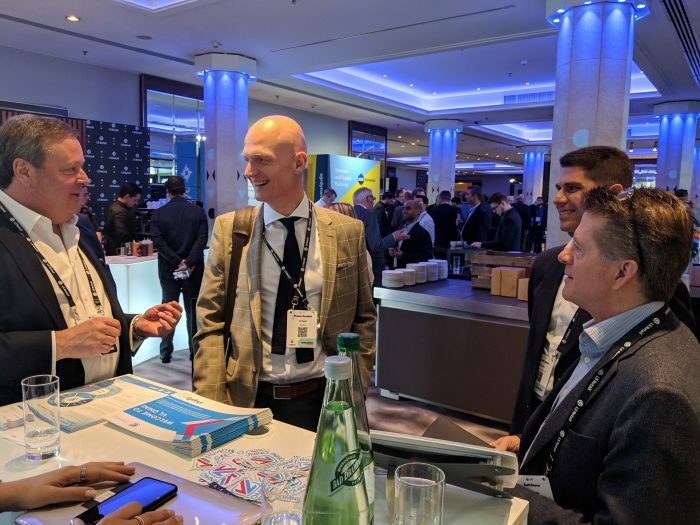 We could not believe the honest enthusiasm each and every person had for the LS Retail Platform — whether they were LS team members feverishly connecting attendees with each other, or LS and commerce experts looking for the next key solution or big thing to take back to their markets. And the VL OMNI team alongside Creative 971 made the most out of every second of it! With at least two out of three VL OMNI team members in meetings or attending ConneXion sessions or workshops throughout each of the two days, we’ve never had so many in-depth conversations about retail technology, data integration, customer experience, and how to better serve the elite community of retailers that are attracted to the LS Retail Platform. This is the first show VL has attended in a long time where even the top people in the LS Retail community were equally accessible to us and to all attendees — going to show LS Retail’s commitment to not just their platform, but to their partners, resellers, and technology touchpoints. This year’s ConneXion was wholly centred on the unification of the customer experience at all — and we mean all — touchpoints. The LS platform has evolved to take key customer experience considerations into their fold, empowering businesses to truly create a brand community where customers feel seen. To this ends, VL OMNI’s launch and demonstration of our new LS Retail-Shopify Plus Connector hit a note that resonated with many in attendance: bringing even more customer touchpoints into the LS Retail fold. Through the highly agile and scalable VL OMNI platform, we were immensely proud to bring Shopify Plus to the LS Retail community through our Connector, fulfilling a need that had been increasingly on ask from merchants using LS Retail. Uniquely, the VL OMNI Connector along with the VL OMNI approach to data integration aligns beautifully with LS Retail’s drive towards unified commerce and truly exceptional customer experience. In fact, VL OMNI’s LS Retail-Shopify Plus Connector was such exciting news to LS and ConneXion attendees that it even got an unexpected mainstage mention! During one of the hotly anticipated presentations, Petur Thor Sigurdsson, Product Director of LS Retail explained in great detail the need services and solutions that the LS Retail platform provides. In an effort to reach out to more customers using different ecommerce platforms, LS mentioned our partnership as powering their new Shopify and Shopify Plus integration. Knowing full well the capabilities and scalability of the VL OMNI platform, Petur felt spurred to speak to our integration and capabilities during his session! The LS Retail team and the community that surround them really do feel like family. A room full of thought-leaders eager to share their experiences, work through bottlenecks, and discuss green fields of potential opportunities is exactly where VL OMNI fits, and it’s no wonder why we felt immediately at home with LS. From a meshing of core drives to a culture and community fit, VL OMNI and LS Retail both see eye-to-eye on the future of commerce: it is connected, it is automated, and it puts the customer not just first, but central in all things the merchants we mutually serve seek to achieve. We cannot wait to see what the year ahead of us brings in working with LS Retail and the amazing agencies that empower merchants like our partners Creative 971, and VL OMNI looks forward to being at LS Retail in 2020, wherever in the world that may be! LS Retail, VL OMNI, and Creative 971 after the final keynote at ConneXion Munich 2019.